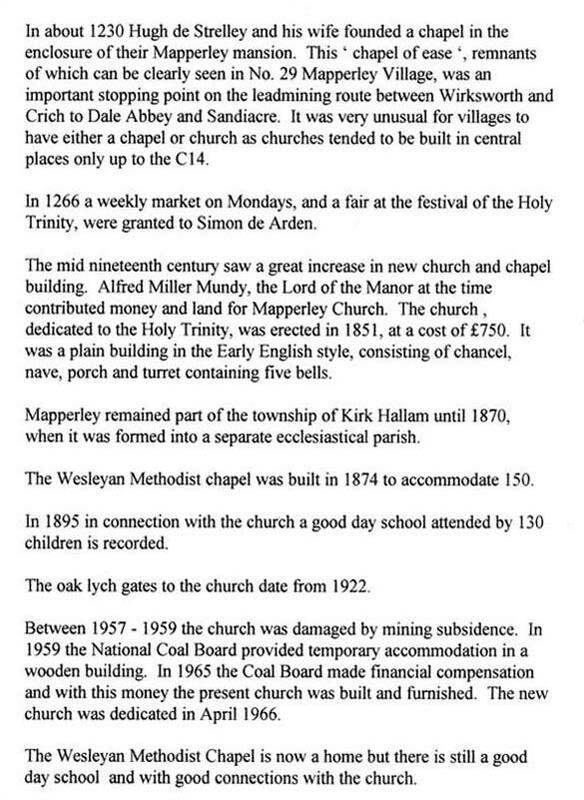 Did You Know About Mapperley Churches? 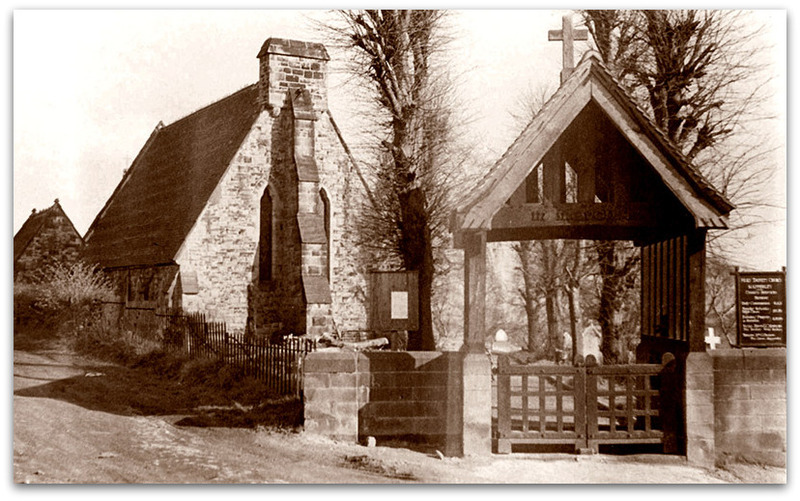 Mapperley Church as we know it today replaced the original church built on this site in October 1851. Mr Drury-Lowe of Locko Park gave stone from his Coxbench quarries for its construction. The architect was Thomas D. Barry of Liverpool and local builder Mr T. Brown of West Hallam was given the building contract. Not including architects fees, the total cost of the work was £728. Built originally with Two Bells. 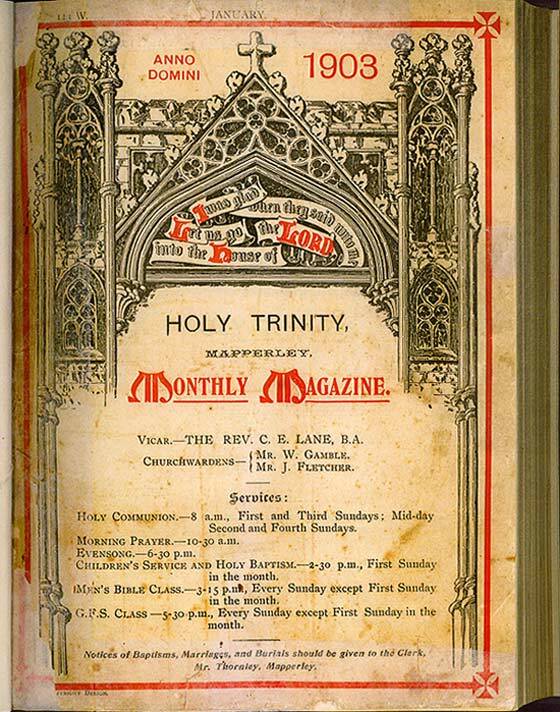 In November 1864 the church was licensed for marriages, a benefit to the residents, who before this date had to travel to Kirk Hallam Parish Church, registered for marriages from Mapperley. 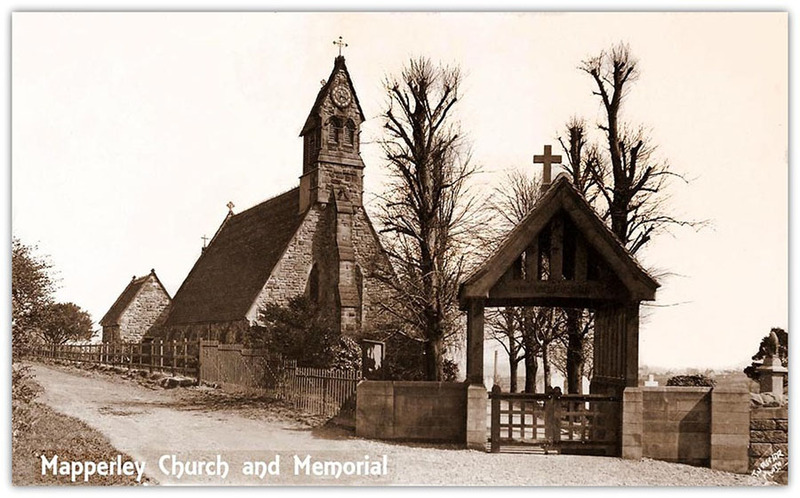 This of course makes it difficult for people today who are researching into their family history and cannot find their relative in the Mapperley church registers. 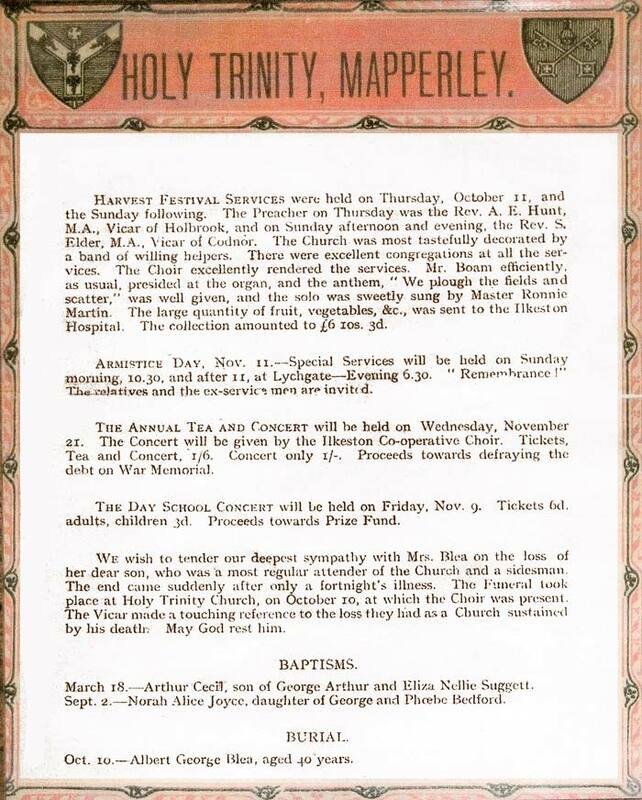 On July 1st 1870 Mapperley finally became a separate Ecclesiastical Parish able to carry out all the services for the village. During 1886 major restoration work was carried out. This included fitting new hot water apparatus, providing a much improved heating system, re-paving the aisles and moving the existing organ to a chamber in the chancel. 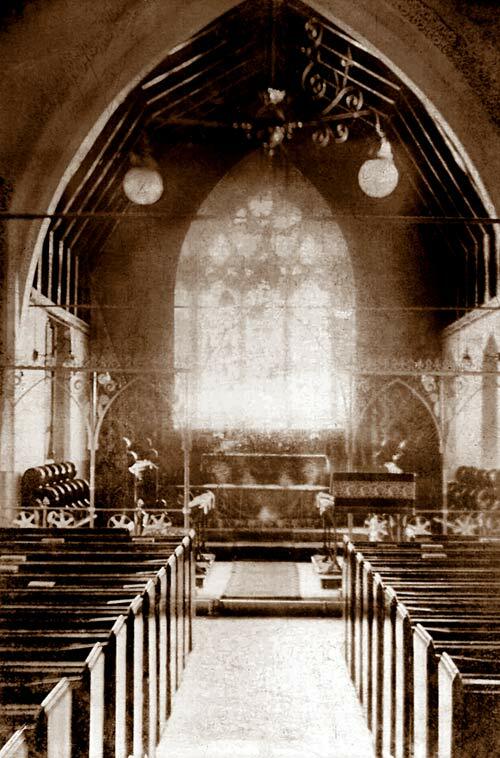 A vestry was also formed at the west end of the church. In 1890 five bells were fitted to replace the original two 1851 bells. 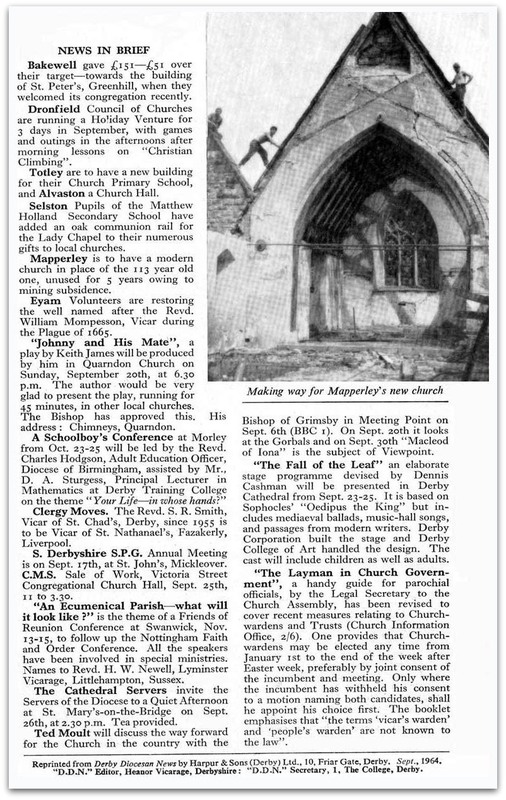 During the mid 1950's structural problems started to occur, when members of the congregation and choir witnessed strange "cracking sounds" coming from the building. These were the first of mining subsidence; cracks appeared in the tower and walls. Roof tiles also became dislodged. Before the coal industry was nationalised, coal was not allowed to be extracted from under the church. But Nationalisation changed all this. 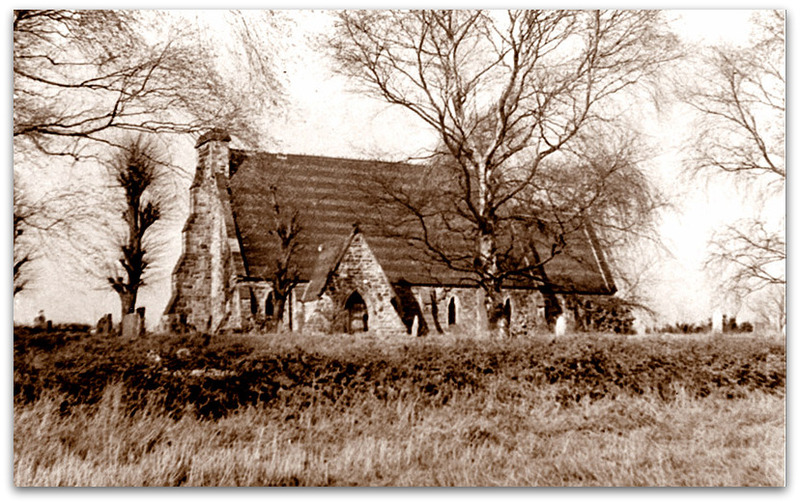 By 1959 the church finally became unfit for services and demolished. A temporary prefabricated building was provided by the Coal Board situated in the old windmill field. 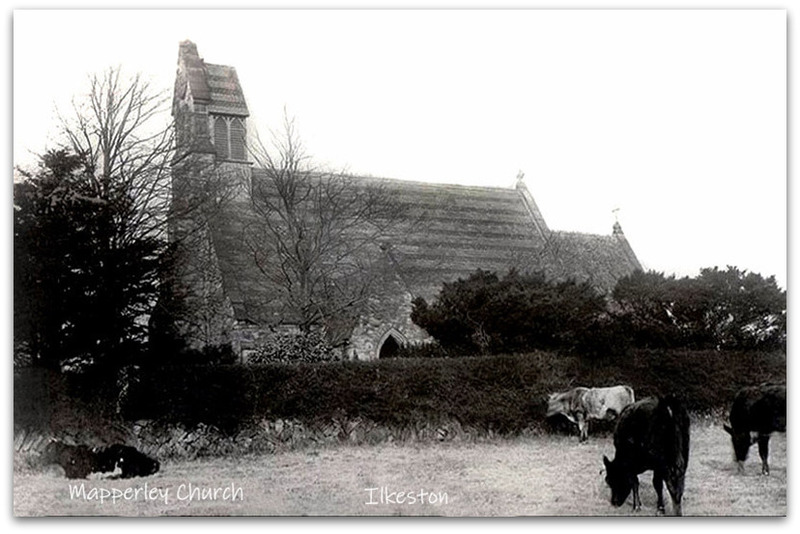 Parishioners were determined to replace their church, but this would take a further seven years of fundraising and negotiations, before the new church was finally opened. LAYING THE FIRST STONE OF THE NEW CHURCH, MAPPERLEY - The first stone of a new church at this village was laid on the 21st instant by the Venerable Archdeacon Hill, The ceremony commenced at 11 o'clock. About that time the principal persons of the neighbouring villagers, as well as a number of the poorer sort, had assembled to witness the event. A hymn was sung by the scholors of the West Hallam free school and prayers were read by the Rev. Newdigate, incumbent of West Hallam; the silver trowell was presented to the Archdeacon, and the stone was laid by him. 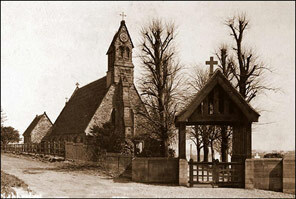 He afterwards delivered a most beautiful address, congratulating the inhabitants of Mapperley on the advantage of having a place of worship so near their homes, and urging them to look for salvation by Christ, assuring them that if they rested their hopes on any other day they would fall like the house that was built on the sand. The dexology was sung and the people daparted to their homes. This church will supply a disideratum that has long been wanting. Belonging as the village does to the distant Parish of Kirk Hallam, it was next to impossible that they should go to their own parish church to hear the word of God, so that they have been obliged to go anywhere; but by the blessing of God this will not happen again and Mapperley will boast now of it's own church; simple in it's architecture it is true, but yet sufficient for the wants of it's inhabitants. The ceremony took place on Saturday May 13th 1922 at 3pm. 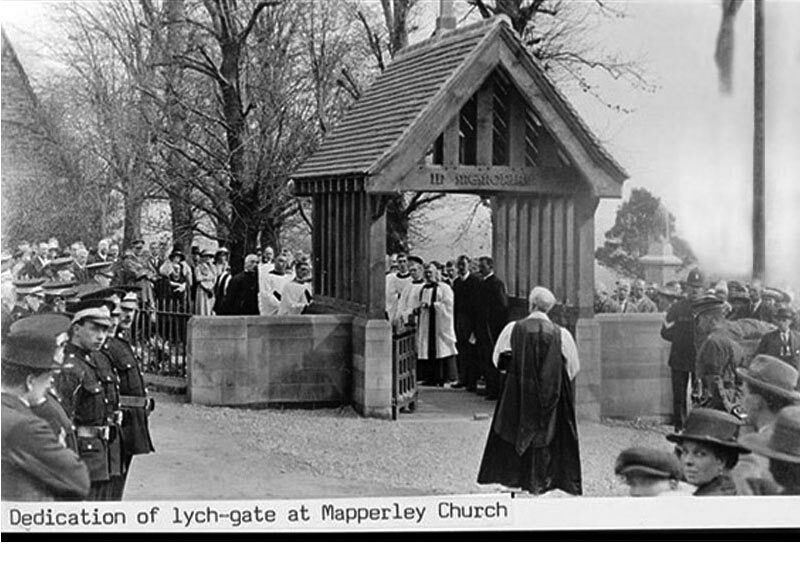 The unveiling Ceremony was by Captain Drury-Lowe, followed by the Dedication of the Lych Gate and Consecration of the Churchyard extension by the Lord Bishop. The invitation was sent to Mr & Mrs R H Turner, Jeweller and Optician, 108 Bath street, Ilkeston Derby. 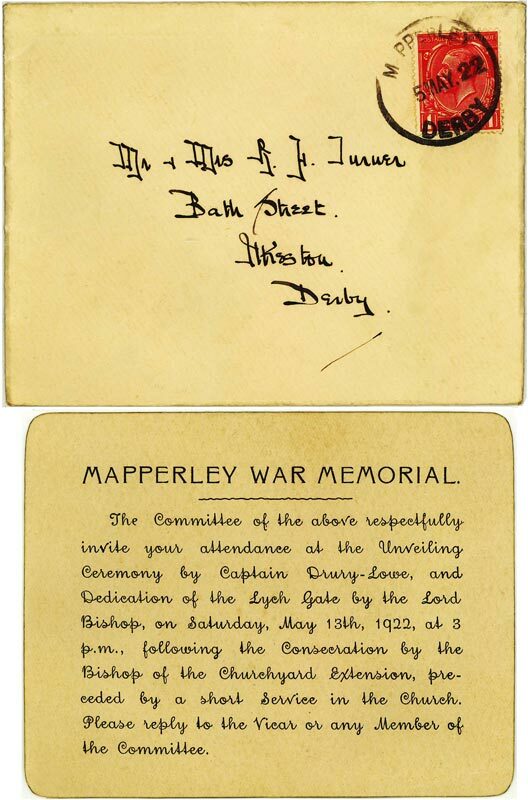 Note the Mapperley, Derby stamp, posted 5 May 1922. The postage was one penny. 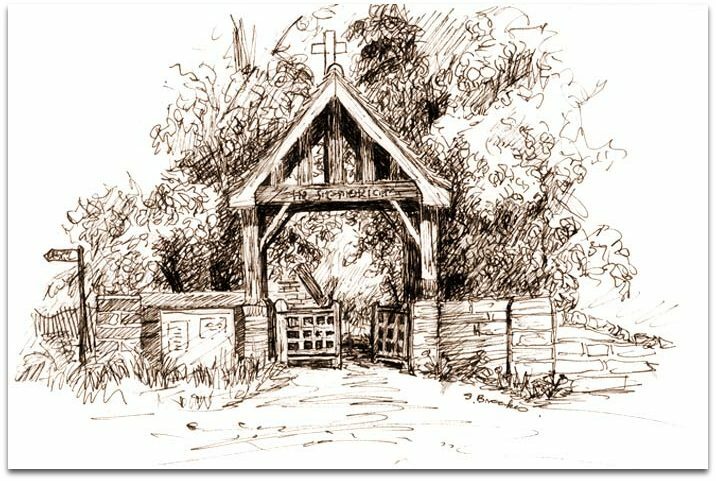 Sketch of Lych Gate by Stella Brookes, local artist, 1991. 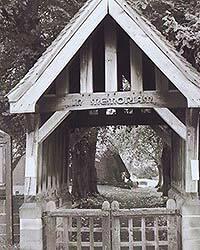 Memorial Lych Gates in Honour of Our War Hero's Have Been Stolen! 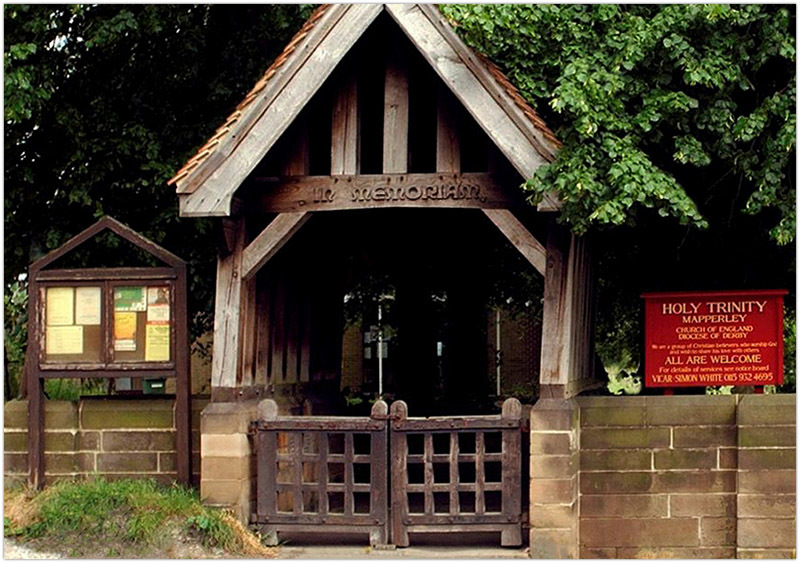 Holy Trinity Mapperley's gates have been stolen. This is a despicable act, given that they were given in memory of those who served in the great war. Or the police on 101, quoting incident number 17 000 5166 13 if you have any information. Please share. Derbyshire police said it is investigating an alleged theft from the Mapperley Lane church.